Site Migration - We can expect incremental improvement to the migration tool as new features become available. 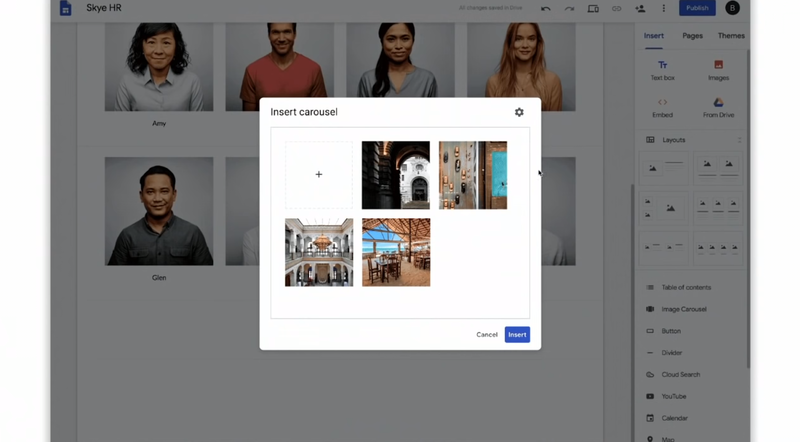 Image Carousel / Slideshow - It seems like they are poised to release this feature, which many have clamored for. It is an in-page gadget and looks to be paginated with buttons. We didn't see arrows or the settings menu. Cloud Search - Presumably coming soon, this search bar was added in the content area, but can go anywhere on the site. It searches Drive, Sites, and even Gmail! 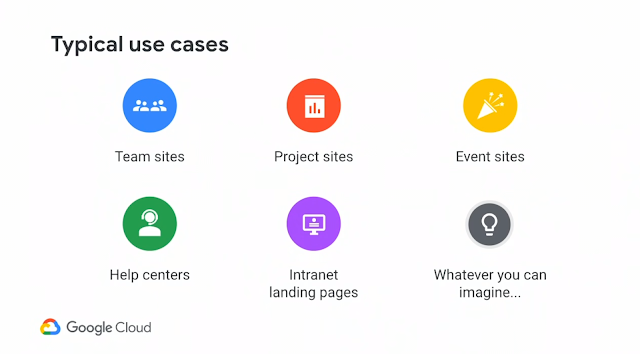 Use Cases - The Google Sites team will focus most on intranets and corporate team sites. It should be optimized for enterprise. 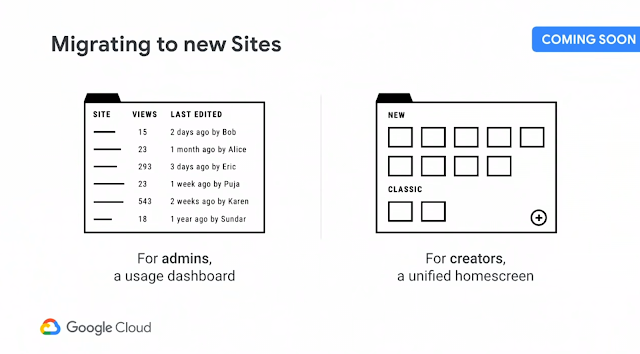 New Dashboards - We saw both a sneak peak of the unified Sites dashboard and an admin dashboard for Classic Sites usage, which will help them evaluate which Sites to migrate. 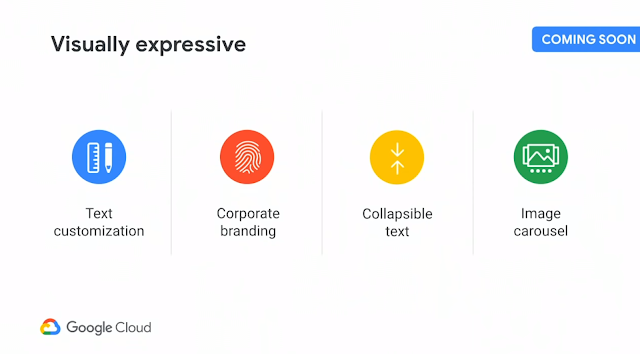 Style Customization - Text customization, better branding options, collapsible text and the aforementioned carousel. We will get more control on New Sites soon. Template Gallery - Seeded with a few examples from the Sites team, this gallery will also allow you to publish templates for your domain. Better Collaboration - Informed publishing, site revision and page revision history. Also editor commenting. 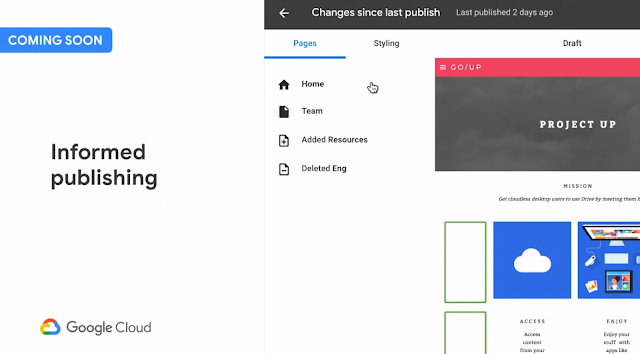 Sites will become more like Google Docs in this capacity. Freshness - Certain provisions for denoting the freshness and how current content is with a Site Badge with contact option. This post is a little belated, but nonetheless important. 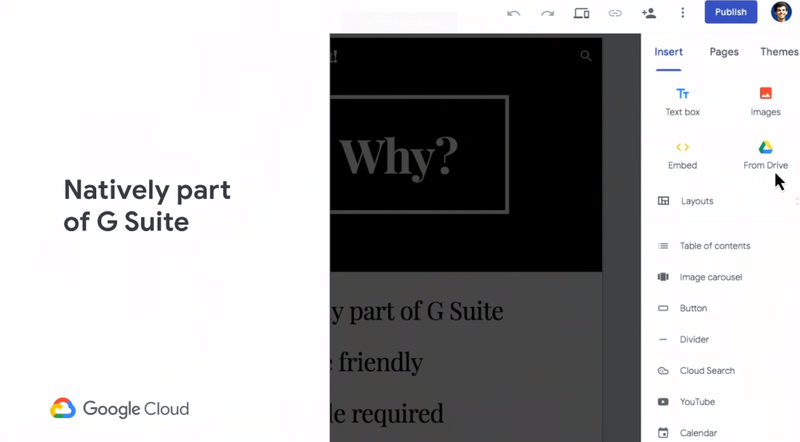 The updated Google Sites roadmap presented on the G Suite Updates blog presents 5 items we need to discuss. Let's dive in. 1. 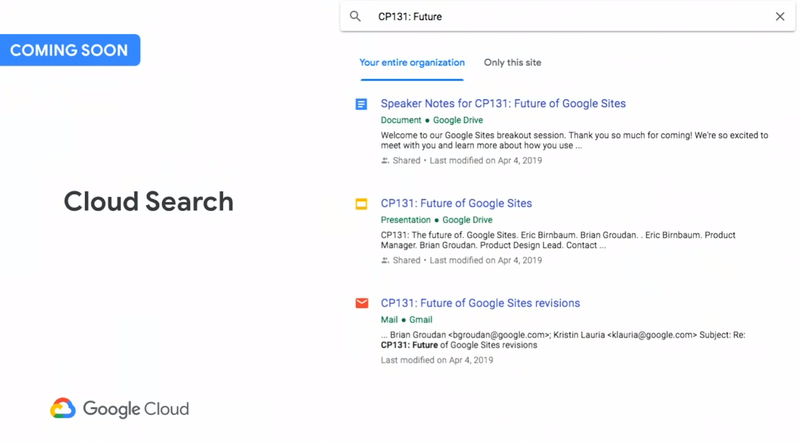 Classic Google Sites will go down - This action is slated for late 2021. 2. Enterprise Features coming soon - The slow pace of Google Sites upgrades and feature roll-outs has been a concern. However, all your old favorites and some new plug-ins will likely come our way. The Table of Contents gadget has already been rolled out as promised. 3. 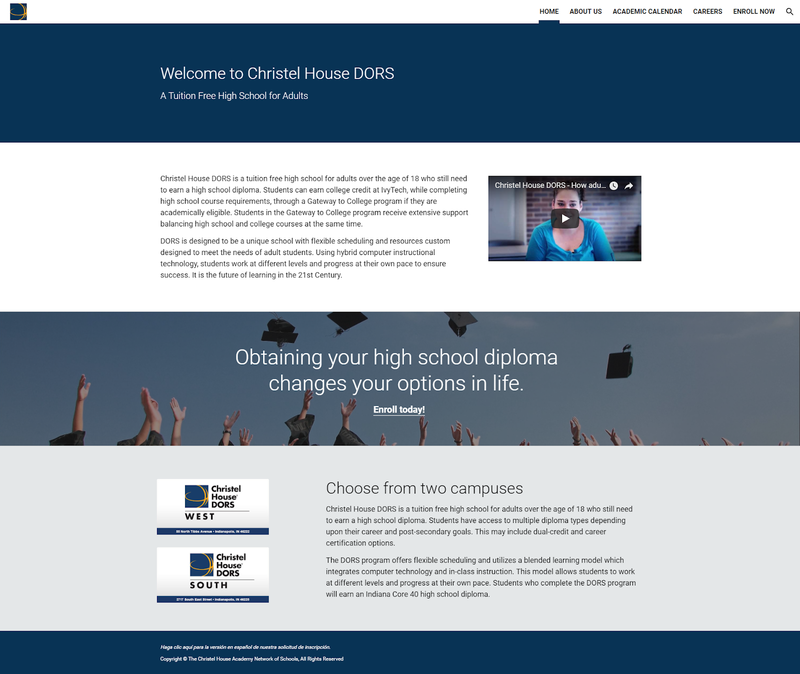 More Design Control - A big complaint was the simplicity of New Sites. This is being addressed and fine-tuning your Google Sites theme will be forthcoming. 4. 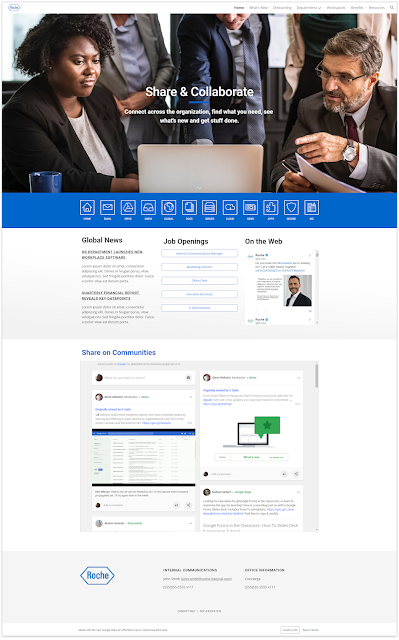 Better Back End Support - The infrastructure to build large intranets is being improved, edit and publishing help, including back up support. 5. 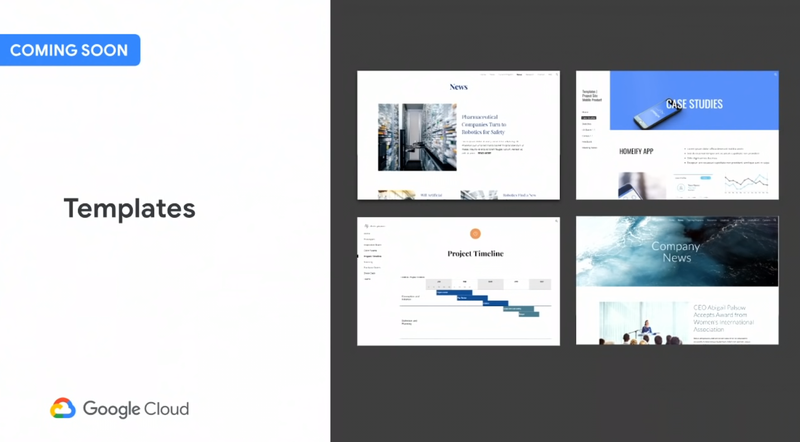 It's Time to Get Started - Get a jump on your project now. Become familiar with New Google Sites and start migrating the smaller team sites now. 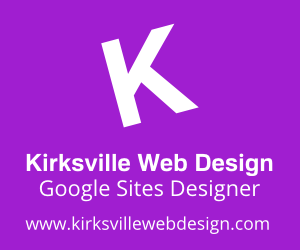 As a Google Sites specialist it is important to hone your skills once and while. 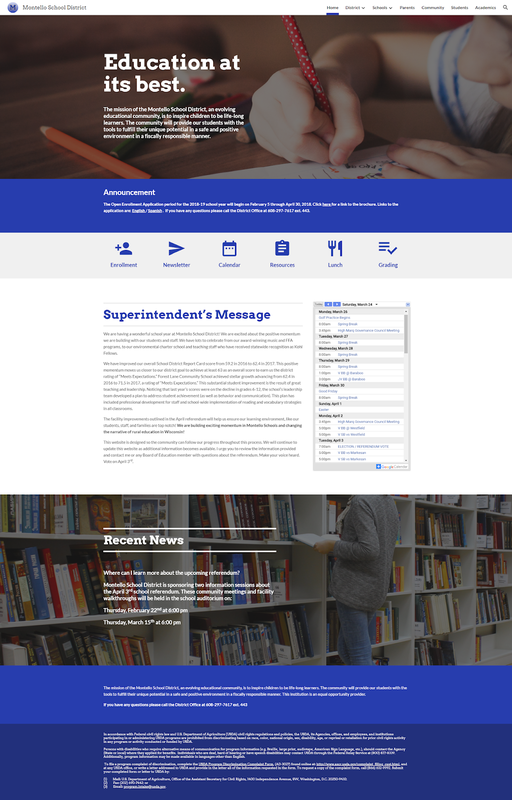 Designing a sample Google Sites, like this intranet concept, allows us to freely express our creativity. 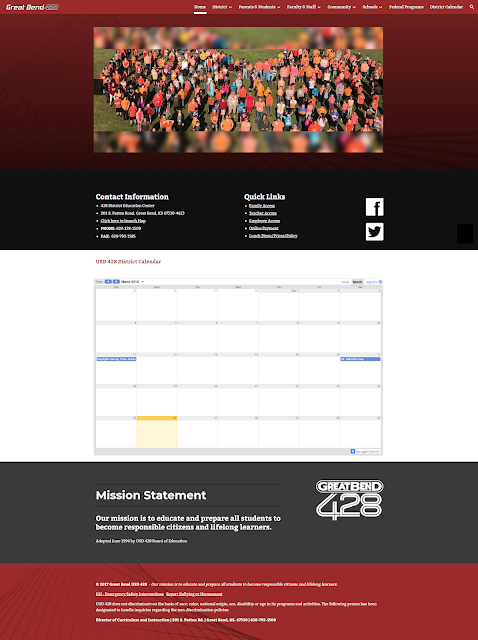 So enjoy this sample and contact us if you need a Google Sites specialist for your next project. Just sharing some fun New Google Sites we are making for various school districts.